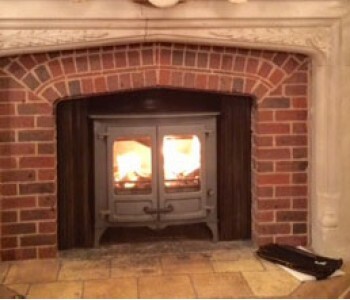 Charnwood C6 Log Burner - fitted by our installers with a Green Slate hearth in Bramley near Guildford, Surrey. 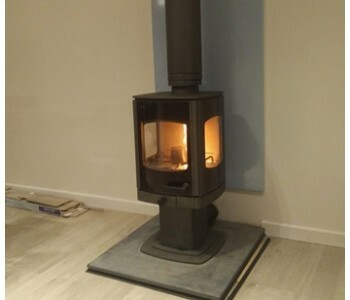 Charnwood C8 Woodburning Stove - with store stand installed with slate hearth and very impressive Poujoulat TI chimney system with STI stack and Airtight insulation for passive house at Henfold Lakes near Horsham. 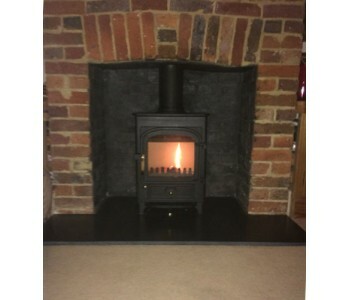 Charnwood C4 Wood Burning Stove in black - installed in Guildford, Surrey. 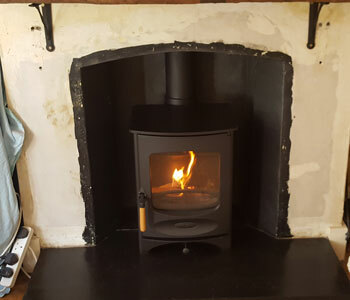 ACR Earlswood Multfuel Stove fitted by our HETAS installers - with black slate hearth in Godalming, near Guildford, Surrey. 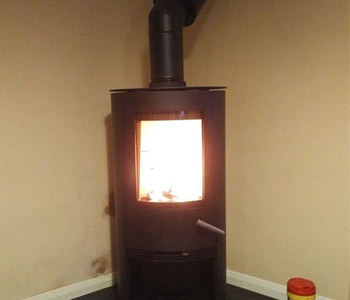 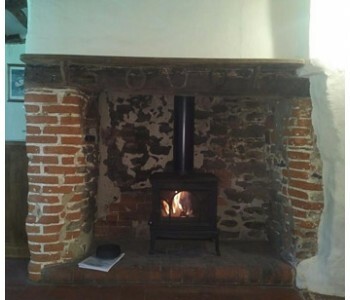 Burley Hollywell Stove - connected to a twin wall thermally insulated chimney system in a timber framed building in the Surrey Hills, near Guildford. 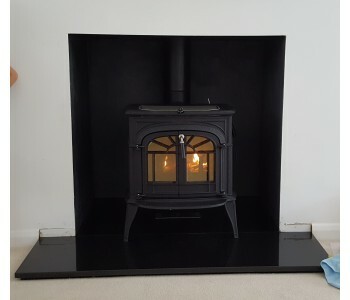 Clearview Pioneer 400 Multi-Fuel Stove - with flat top, 50mm legs in black installation with honed granite hearth and standard fascia rustic, light oak beam in Holmwood between Dorking and Horsham, West Sussex. 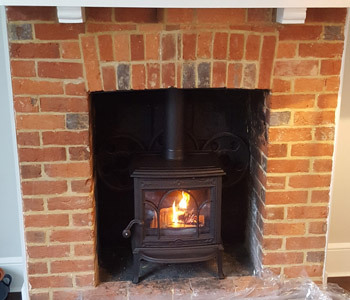 Charnwood C4 Wood Burning Stove - installed in Brockham, Surrey. 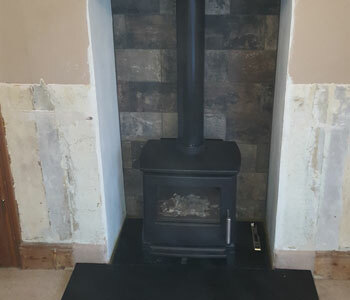 Mendip Churchill 8 Double Sided Multi-fuel stove - completed with bricks slips by our installers in Woking, Surrey. 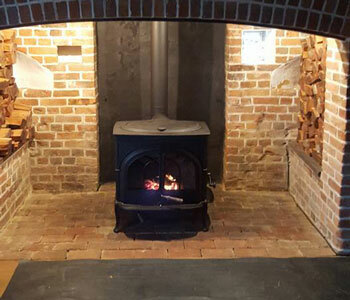 Vermont Intrepid Wood Burner - installation into beautiful period inglenook fireplace in the Surrey Hills, between Guildford and Dorking. 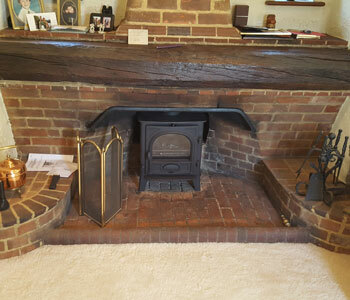 Charnwood C4 Wood Burning Stove - fitted by our installers in Peaslake in the heart of the Surrey Hills near Guildford. 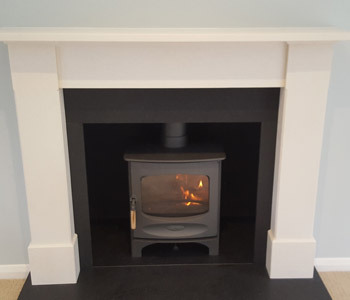 Charnwood C5 Woodburner in Almond - with a honed granite hearth and charcoal painted chamber in Guildford, Surrey. 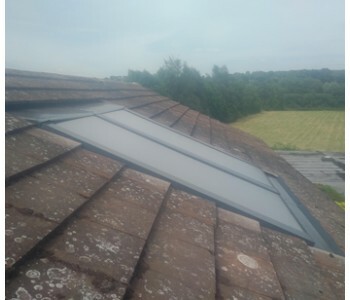 Solar Thermal panels within roof fitting - providing up to 80% of all domestic hot water needs in Warwickshire. 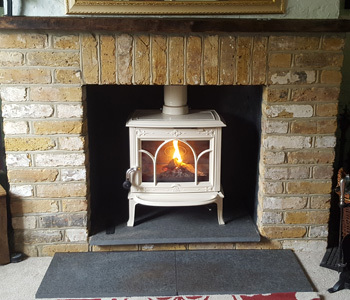 Charnwood Island 2 Stove - with low legs in black installed by our fitters with slate hearth between Esher and Kingston-upon-Thames. 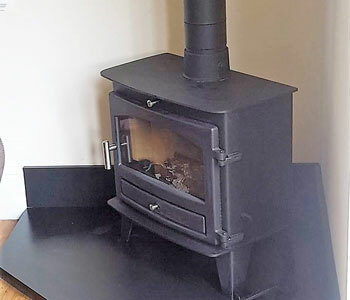 Charnwood Tor Pico Three Sided Wood Burning Stove - in Gun Metal with Riven slate hearth, direct air kit, twin wall thermally insulated chimney system also in gun metal. 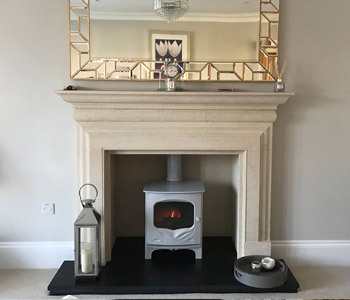 Chesneys 5 Series Shoreditch Woodburner in silver - installed by our HETAS Engineers with black polished granite hearth, charcoal painted chamber and locally sourced air dried oak beam in Guildford, Surrey. 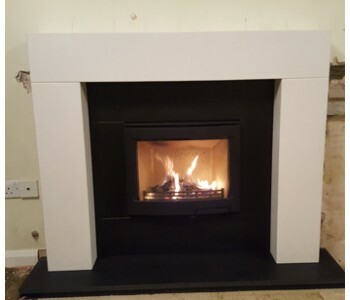 Pevex Serenity 45 inset multifuel stove - with four sided frame installed with glass hearth in Guildford, Surrey. 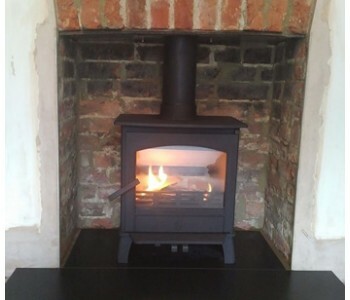 Clearview Pioneer 400 multifuel stove - with flat top in matt black with a Black Slate hearth in Godalming, Surrey. 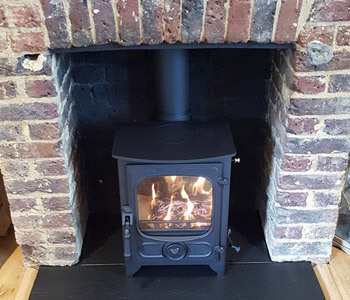 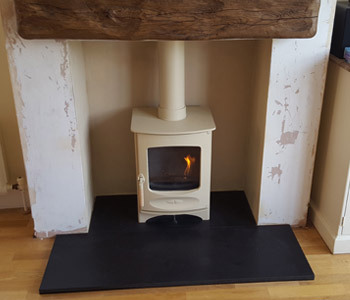 Hergom E30 XS Cast Iron Stove - with standard leg fitted by our installers with Riven slate hearth in Abinger between Guildford and Dorking in the Surrey Hills. 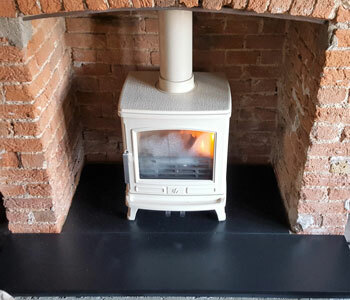 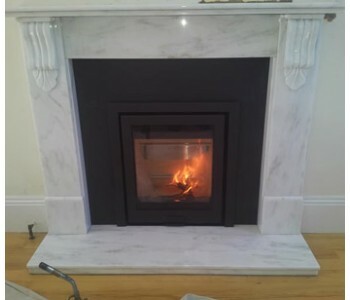 ACR Oakdale Multi-fuel Stove - in enamel buttermilk installation with black slate hearth in Bookham, near Leatherhead, Surrey. 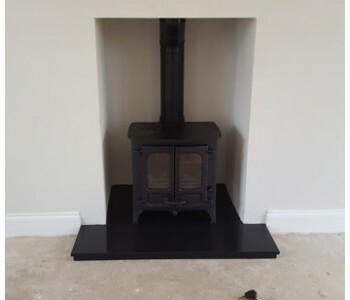 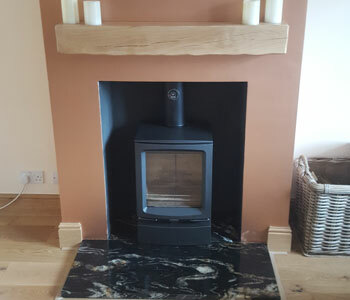 Charnwood C4 Woodburner in black with - Flat Front Victorian and Honed Black Granite hearths, slips and header fitted by our installers in Shalford near Guildford, Surrey. 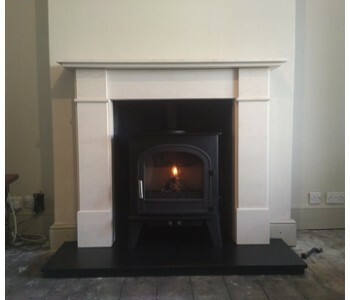 Cleanburn Skagen 5 Multifuel stove - installed with Flat Front Victorian limestone fire surround and riven slate hearths installed by our HETAS engineers in a traditional Victorian town house near Esher, Surrey. 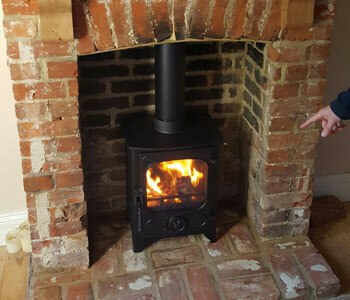 Avalon Slimline 8 Multi-Fuel Stove - fitted by our own installers with internal system chimney and corner shaped slate hearth in Banstead, near Epsom, Surrey. 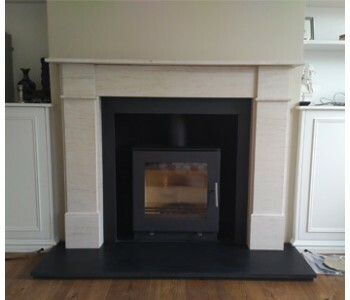 Contura i5 Inset Woodburning Stove - fitted with Stonehenge limestone mantel piece and honed black granite hearth, slips, footer and header in Farnham, Surrey. 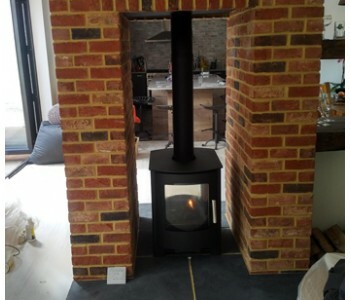 Clearview Vision 500 multi fuel stove - installed with thermally insulated twin wall chimney system in Surrey Hills. 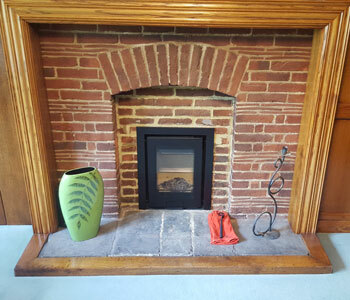 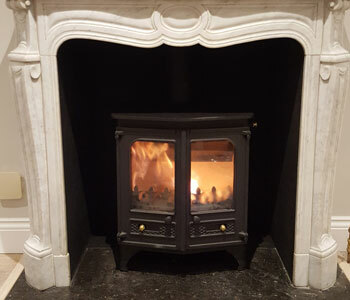 Di Luso R4 Inset Wood Burner - with 3 sided frame in black installed in wonderful, original Arts & Crafts property between Guildford and Leatherhead, Surrey. 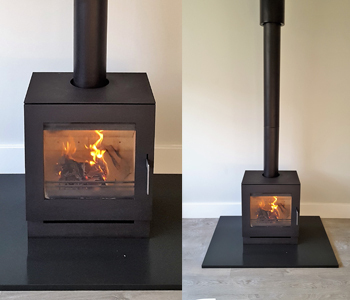 Termatec TT20R woodburner in black - with bespoke, made to template honed black granite hearth installed in Reigate, Surrey. 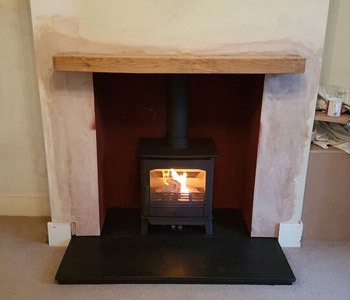 Hunter Telford Inset 8 Multi-fuel Stove - installed with slate slips and header into period fireplace in Walton-on-Thames, Surrey. 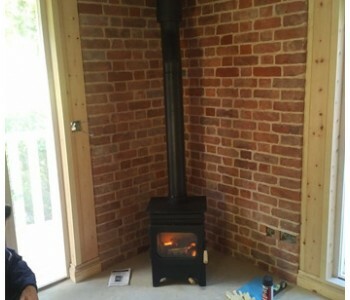 Charnwood Country 4 Wood Burner - installation in Send between Woking and Guildford, Surrey. 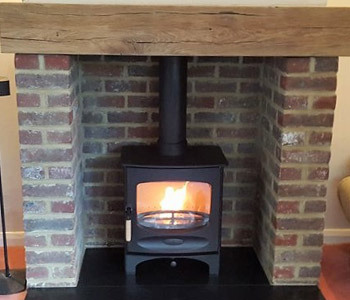 Stovax Vogue Midi Wood Stove - with plinth base and deep, rustic oak beam installed in Horley, Surrey between Redhill and Crawley. 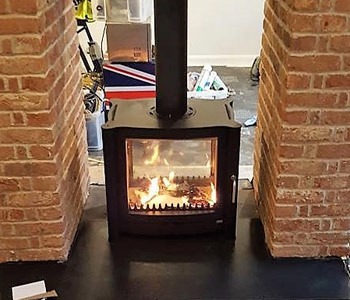 Termatech TT30G Woodburner - with side glass in black with teardrop shaped glass hearth and twin wall thermally insulated chimney system installed by our fitters near Godalming, Surrey. 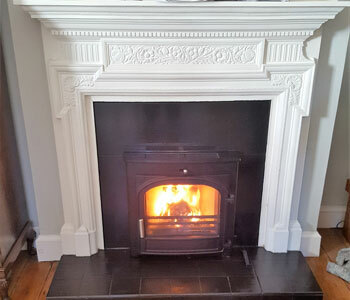 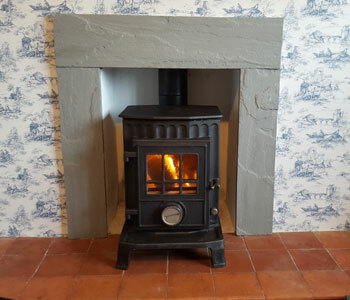 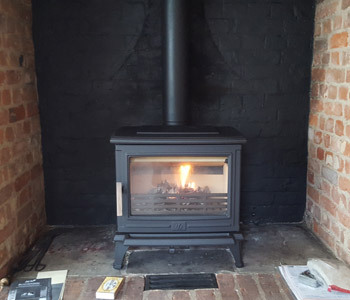 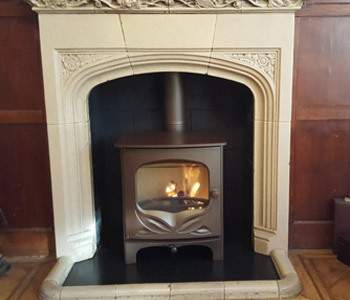 Coalbrookdale multifuel Stove - installed an original and refurbished between Cranleigh and Horsham, West Sussex. 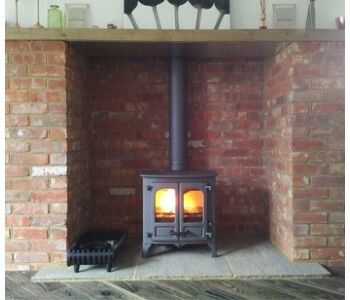 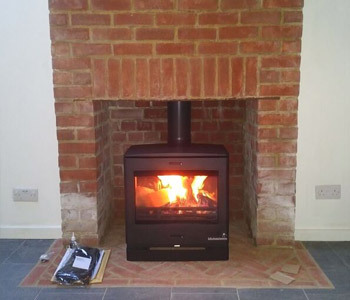 Hunter Telford Inset Multifuel Stove - installed by our fitters near Reigate, Surrey. 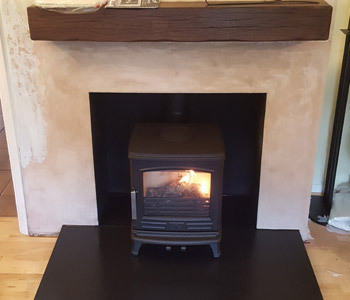 Di Luso R4 Inset Wood Burning Stove - with 3 sided frame in black with bespoke Vlaze fire surround in Basalt fitted by our installers in East Horsley between Guildford and Leatherhead, Surrey. 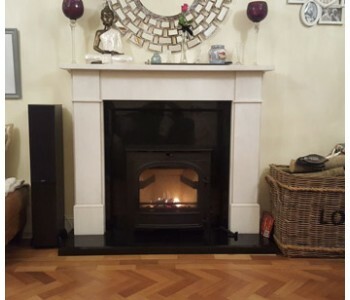 ACR Malvern Multi-fuel Stove Installation - with honed black granite hearth fitted in Guildford, Surrey. 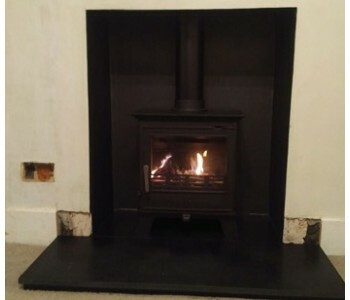 Charnwood C7 woodburner - installed on black slate hearth in Guildford, Surrey. 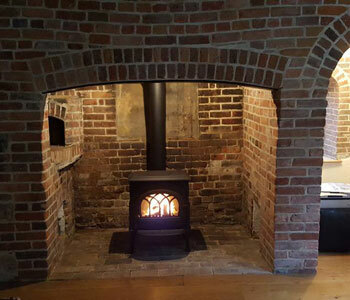 Jotul F3 Traditional Wood Burner - in matt black installed between Cranleigh and Guildford, Surrey. 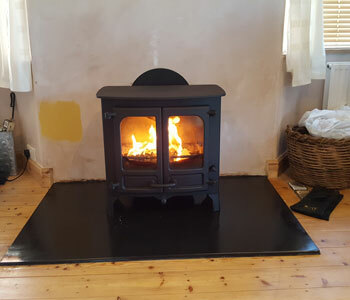 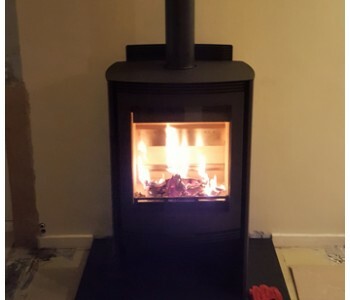 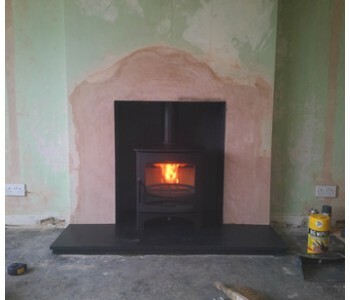 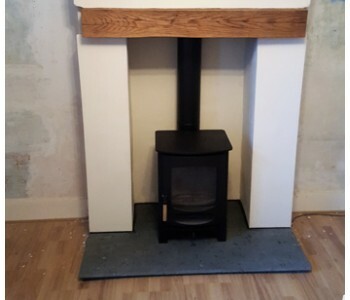 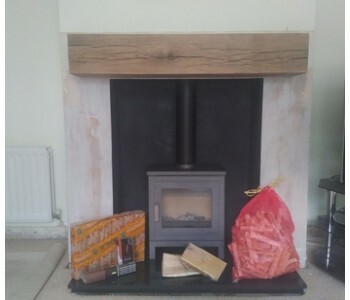 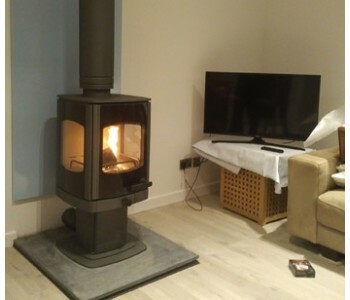 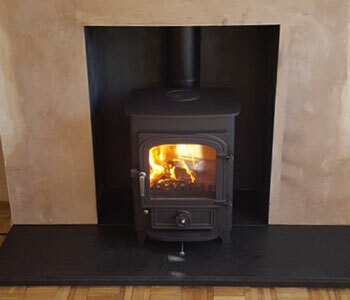 Westfire Uniq 23 Wood Burning Stove - with 50mm block base and table stand installation with twin wall, thermally insulated chimney system and black slate hearth in Bookham, near Leatherhead, Surrey. 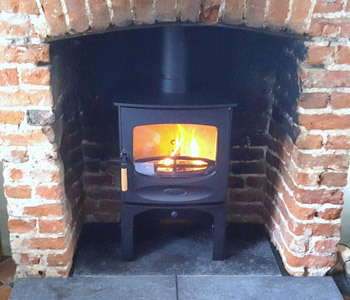 Charnwood Island 2 stove with Low Legs - fitted by our installers in West Sussex. 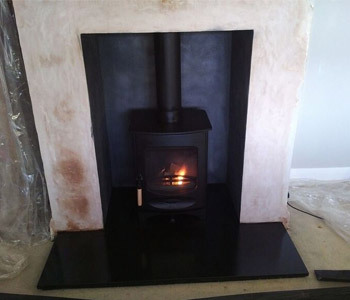 Charnwood Island 1 Stove - with low legs in black with black slate hearths installed in Ripley, near Woking, Surrey. 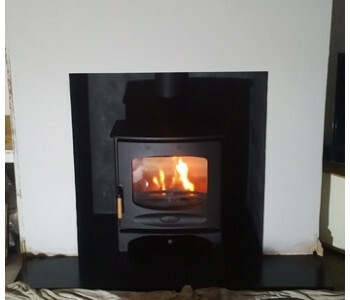 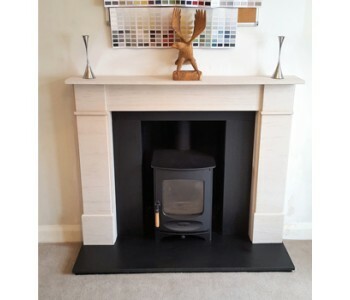 Charnwood Cove 2 Stove - with low stand in black fitted by our installers in Guildford, Surrey. 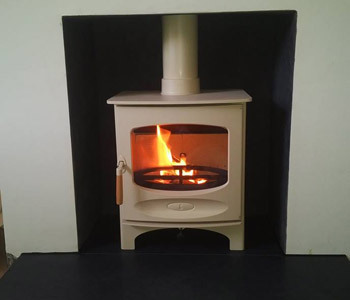 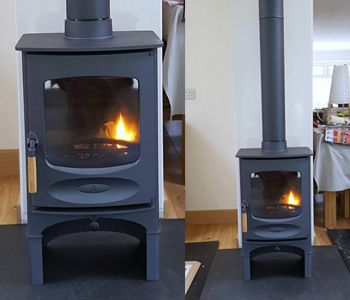 Charnwood Island 1 with low legs - in Gun Metal installed near Woking, Surrey. 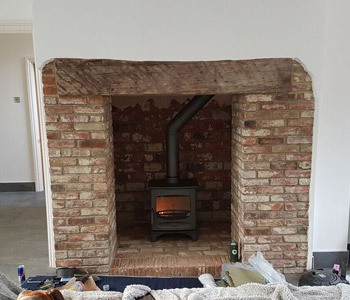 Charnwood C4 Woodburner with Store Stand - antique granite hearth, brick pillars and chamber with bespoke oak beam installed in Warwickshire. 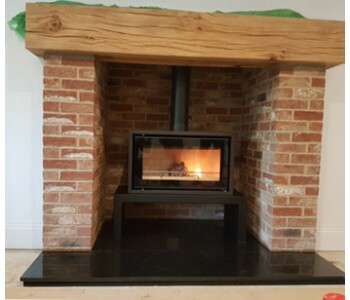 ACR Earlswood Multifuel Stove -installed with granite hearth and bespoke locally sourced oak beam in Guildford, Surrey. 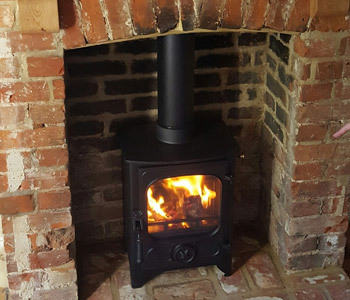 Jotul F100 multi-fuel stove in matt black - with tracery door installed by our fitters in the Surrey Hills near Cranleigh. 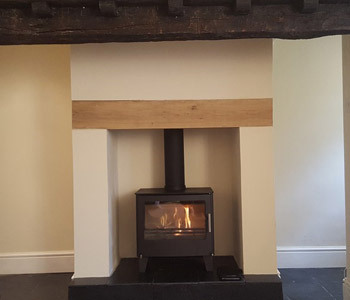 Charnwood C4 Woodburner in Gun Metal - with limestone hearth and oak beam near Caterham, Surrey. 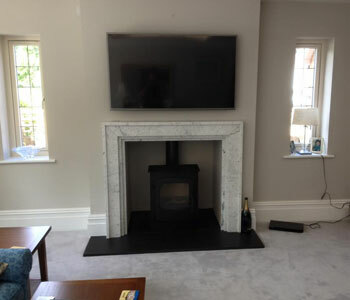 Charnwood Country 6 Wood Burner - installation into Louis IX marble fireplace with polished granite hearths in Claygate, near Esher, Surrey. 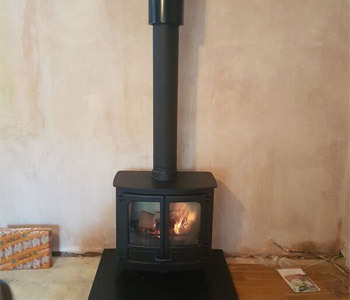 Di Lusso R5 Woodburner - with curved sides in black fitted by our installers with thermally insulated twin wall chimney system near Horsham, West Sussex. 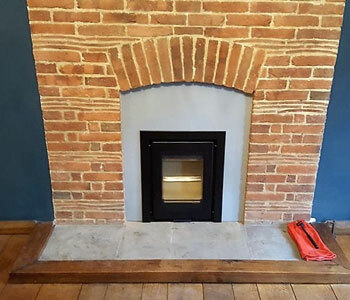 We offer the complete installation service from advice, design, constructional work, chimney systems, heating systems, brick work, plastering and stove installation. 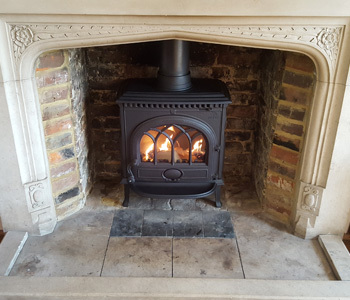 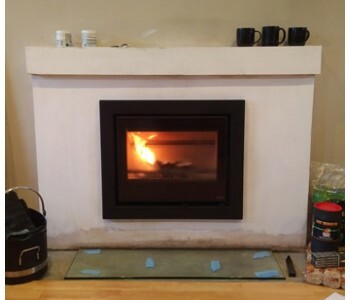 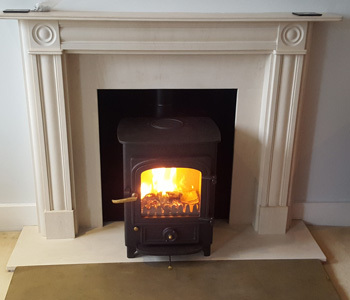 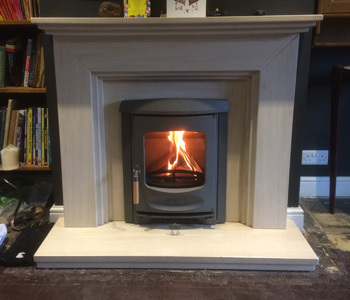 At GSG Stove & Chimney Specialists, we pride ourselves in having over 20 years' experience in the woodburning and multi fuel stove industry around Guildford, Reigate, Surrey, Hampshire and surrounding areas. 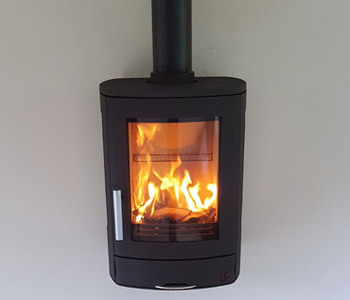 We have our own dedicated team of qualified HETAS engineers who do not settle for less than perfect when it comes to the customer (that’s you!) 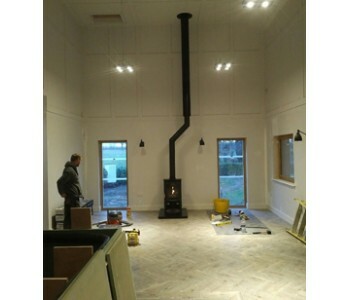 being happy with the quality of work being carried out on their home or property. 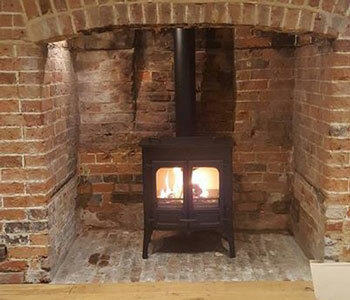 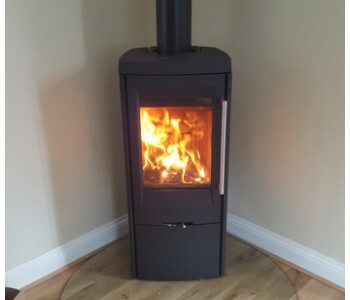 Having installed wood burners, multi-fuel stoves and renewable energy solutions all over the South-East of England, not to mention providing advice and products nationally and internationally, we take on-board what the customer wants and work together to achieve that goal. 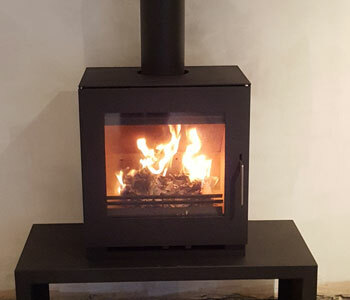 From the initial contact, we look to make the customer feel at ease when it comes to deciding which stove is best suited to their property and needs. 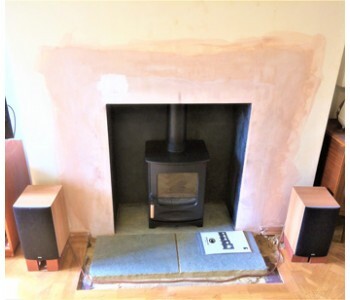 The second step is having a free of charge site survey. 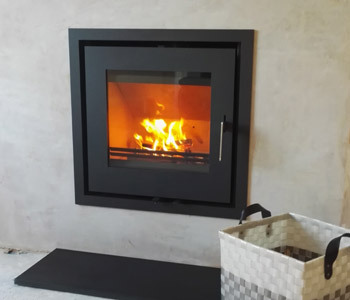 There are a number of different industry standards and building regulations that need to be adhered to and by choosing GSG Chimney and Stove Specialists we will help you to understand these at ease. 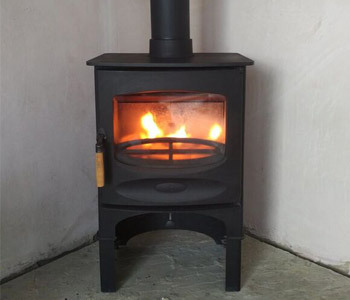 Selecting the right stove is very important, it does cost money but over time it will pay for itself, you will find yourself lighting the fire most evenings instead of putting on the central heating, therefore bringing down your energy bills. 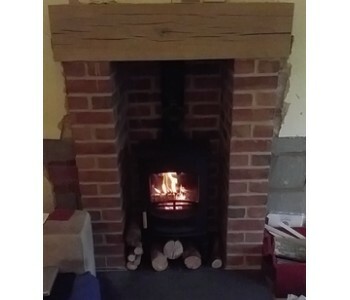 As human beings we have been sitting around fires for tens of thousands of years, and we are all still fascinated by it! 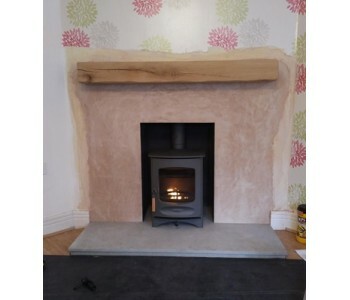 After choices on hearth, oak beam/surround, chamber colour etc. 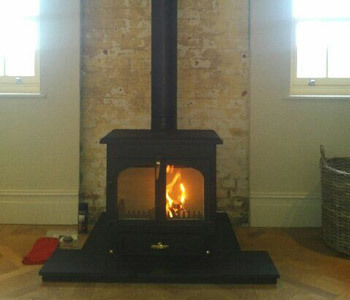 have been decided, we can get to work installing your woodburning or multi-fuel stove! 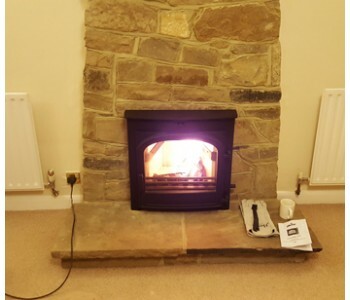 Our HETAS engineers will bring to you their expertise and make you feel at ease when they arrive. 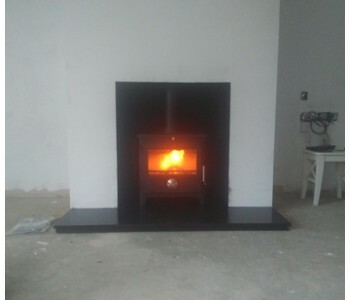 After installation is complete, they will talk you through the function of your stove and answer any questions you have. 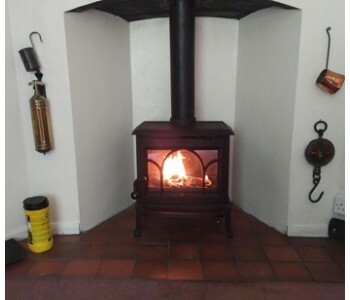 · Roof work including chimney pots, cowls, lead work, re-pointing etc. 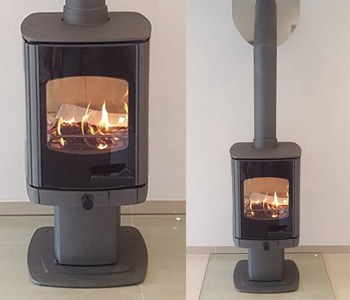 For more information please visit our showroom or contact the team on 01483 209 363.